One of the great things about being in California is the abundance of fresh locally farmed stone fruit. This year we brought in over 2000 lbs of fresh Apricots and added them to our lambic-inspired base beer at a ratio of 3 lbs per gallon to create Careful With That Apricot, Eugene. Bursting with bright fruity flavors and aromas, this beer tastes like biting straight into a freshly picked Apricot. Pleasant acidity and mouth watering juiciness is followed up by our house funk create a bold experience, leaving you craving more. Packed with juicy stone fruit and citrusy character coming from the three pounds per gallon of Honey Rich Apriums from Sunny Cal Farms that we used to make this beer. Aromatics of ripe apricot with bright acidity and a lemony tartness on the finish. A classic in our line up of stone fruit beers ‘Careful with that Peach, Eugene' is made with over 3 lbs per gallon fresh local peaches from both Regier Farms and Sunny Cal Farms. Glorious aromas of juicy ripe fruit gets your mouth watering before you take your first sip. Solid acidity and our house funk partner nice with big flavors of fuzzy peach. Sweet and full bodied with a tart finish, leaving you immediately wanting another sip. Brewed with over 3 lbs per gallon of fresh local pluots from Sunny Cal Farms, ‘Careful With That Pluot, Eugene’ takes us on a journey into the awesome world of hybrid fruits. The beer starts off with a bouquet of juicy stone fruit aromas with hints of melon and citrus. Big sweet tart like acidity takes center stage as flavors ripe plum tantalize your senses. ‘Chaos is a Friend of Mine’ is the result of blending barrels of our base beer to produce the flavor profile of a Belgian Lambic. We begin with a traditional grain bill composed of pilsner malt and raw wheat, which is then boiled for an extended amount of time with aged hops. The wort is then fermented and aged in neutral French oak barrels with our diverse house culture. Chaos ensues from the countless strains of yeast and bacteria fighting for dominance, and after 9 - 14 months in the barrel, we introduce the power of blending to bring order back, ultimately creating a beer that's greater than the sum of its parts. Funk takes center stage in this brew, with notes of barnyard, stone fruit, and aged hops. A balanced and clean acidity make this beer tart, yet extremely palatable, with a full body and crisp dry finish. Into the Great Unknown is a brewers favorite and for this blend we chose New Zealand grown Cascade hops which are absolutely nothing like the Cascade we have all come to love. This beer is intensely fruity, bright, and aromatic with notes of orange zest, passion fruit and guava with pleasant acidity and earthy funky notes makes this one of the best blends ever. Many Fruitless Trials is a limited release collaboration with Luke Hagenbach of METABREWING that is 4 years in the making. The oldest barrels date back to the first half of 2015. 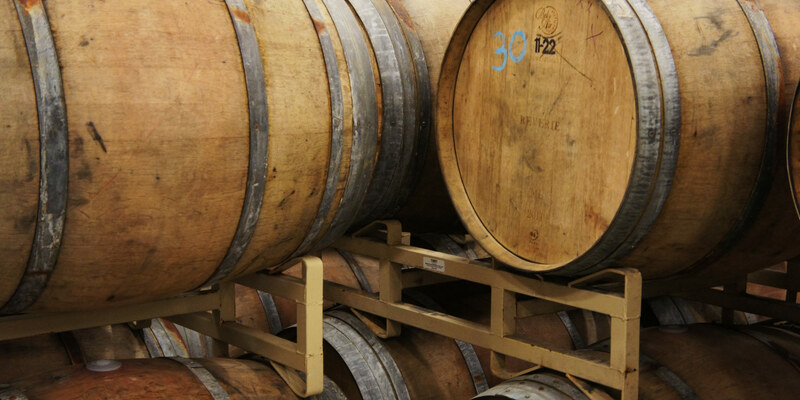 In 2018, these reserve 3-year-old METABREWING barrels were blended with 1 and 2-year-old Blendery barrels, and then re-fermented on fresh nectarines that were dripping with flavor and wafting aromatics. The resulting blend is an interplay of fragrant stone fruit, old-world brettanomyces barnyard, leather, and musty funk, and a complexity that is only earned with graceful aging in French oak barrels over several years. There’s nuance going on below the surface. We hope you have a chance to try it and enjoy it as much as we do. 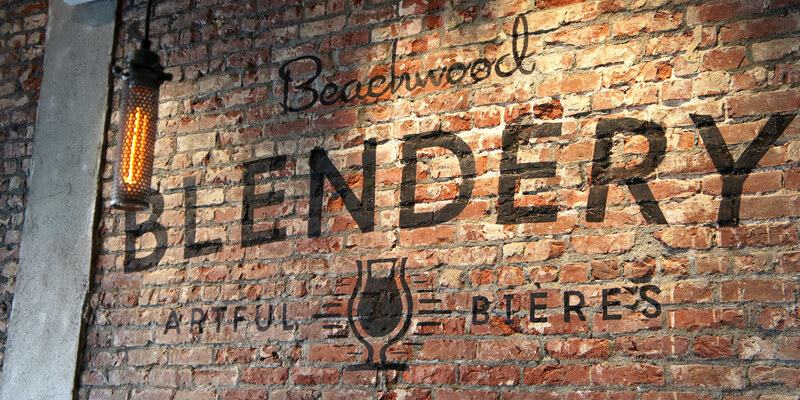 Beachwood Blendery is a small batch beer producer established in 2014 by the same creative minds behind the award winning Beachwood Brewing. Beachwood Blendery has embarked on an undoubtedly geeky quest to recreate the Lambic style beers of Belgium. 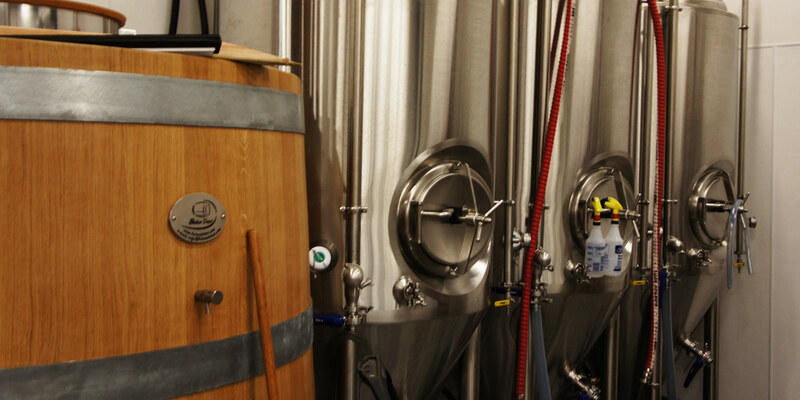 Our beers are produced using ingredients, equipment, and brewing methods that are both steeped in tradition and admittedly modern. 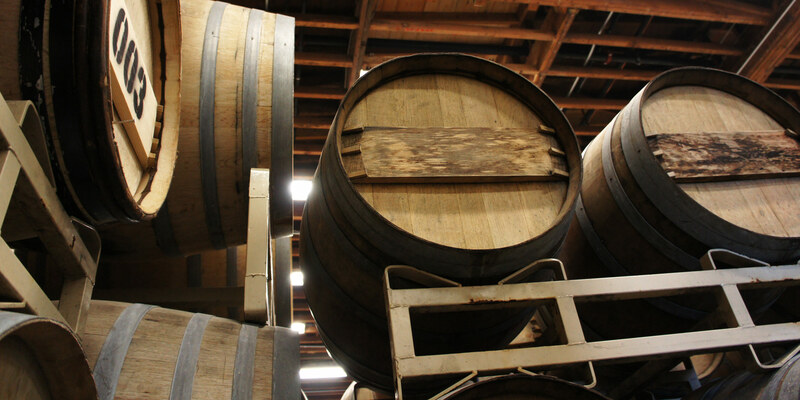 The more traditional methods involve the use of un-malted wheat, aged hops, a koelschip placed in the rafters, spontaneous fermentation, neutral French Oak wine barrels and puncheons. The modern approach uses non-traditional ingredients, including unconventional grains and tropical fruit, and involves keeping a mixed house culture constantly propagating and developing in our incubators. All of this occurs in our custom-designed barrel room, built to mimic the daily temperature and humidity fluctuations of a Lambic brewery in Belgium. The first beers produced by Beachwood Blendery, aptly named 'The Propagation Series', were variations of Brett Saison and Berliner Weisse brewed and blended to test how the different yeast and bacteria performed in the Beachwood Blendery environment. The results of this experiment have been factored into what have become Beachwood Blendery's signature Lambic-inspired beers. These core brands all involve beer that has been fermented and aged in oak barrels for 9 months to 3 years with a wide variety of microoganisms, that shape the tart, funky, and complex flavors we've come to desire. Yes, these beers take an exceptionally long time to develop, but we think that it's well worth the wait. 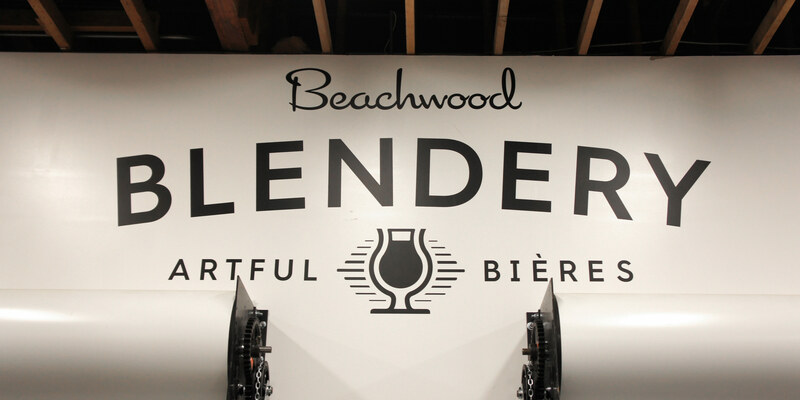 Beachwood Blendery labels are developed in collaboration with one of our longtime favorite artists, Thomas Campbell. Thomas, an acclaimed international artist and filmmaker, splits his time creating at his studio in Northern California and traveling the globe partaking in exhibitions and filmmaking. His artwork will be featured prominently throughout our core line up of Lambic-Inspired Ales.